It was lovely to we lcome Katie Bourke back to the school to work with our TYs. Katie is the founder of Adaptable Solutions and an advocate for accessibility and equality. 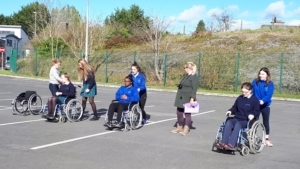 Three days of fun, engaging and educational workshops were held aimed at raising disability awareness within the year group. 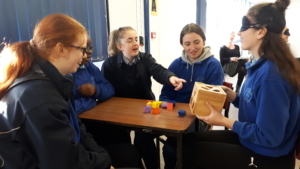 The practical workshops saw students take on every-day tasks that might ordinarily be straightforward were it not for the removal of some of their senses and or motor skills. 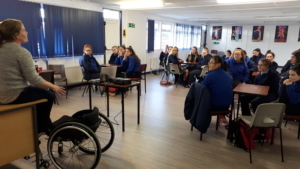 The workshop was of huge benefit to all students who became aware of the daily barriers that disabled people can face. They now know the importance of breaking down these barriers to increase accessibility and equality in society.